In Indonesia, those who suffer from substance abuse or HIV/AIDS often face stigmatisation and discrimination. In 2003, a group of five recovering drug addicts decided to found Rumah Cemara, a safe and positive environment for other drug addicts to recover and reintegrate into society. When they learned about the challenges facing people affected by HIV/AIDS as well, the organisation decided to expand its services. Today, Rumah Cemara runs a centre for drug rehabilitation and a support group for people affected by HIV/AIDS. In 2006, the organisation began introducing football activities into their programmes. By using the power of football to unite people, players are able to demonstrate what they can do for their communities, and how substance abuse and discrimination of people living with HIV/AIDS can be overcome. Moreover, the organisation also uses football events and campaigns to pass on important health messages to participants and the wider community, and to advocate for the rights of people living with HIV/AIDS or drug addiction. They have had an effective influence on national policies, lobbying against the imprisonment of drug addicts and proposing that they receive medical assistance instead. Rumah Cemara builds on the initiatives of its participants. Using the Meaningful Involvement of People Living with HIV approach (MIPA), participants do not only benefit from the programme, but are encouraged to actively take part in its planning and design, decision making procedures, and monitoring and evaluation processes. In addition, the peer-to-peer approach is at the centre of the organisation’s programmes, as 90% of staff members have been affected by similar problems. Programmes include counselling, health services, and employability initiatives. 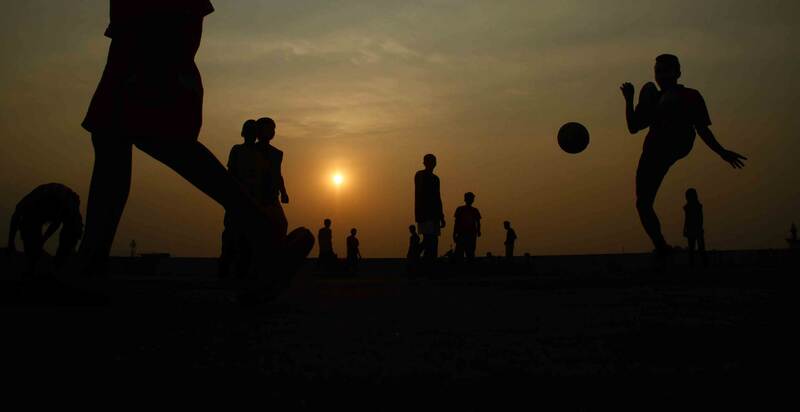 "Rumah Cemara approached young people on the street of Ciroyom to take a break from their routine (singing at intersections & sniffing glue) to play football at the nearby abandoned mall building. These young people have experienced change in their lives through the programme provided by our coaches."